Fifteen couples waltzed, jived and whisked their way into Strictly Come Dancing contention this year, but only four celebrities remain in the running to be dubbed 2016 ballroom champion. 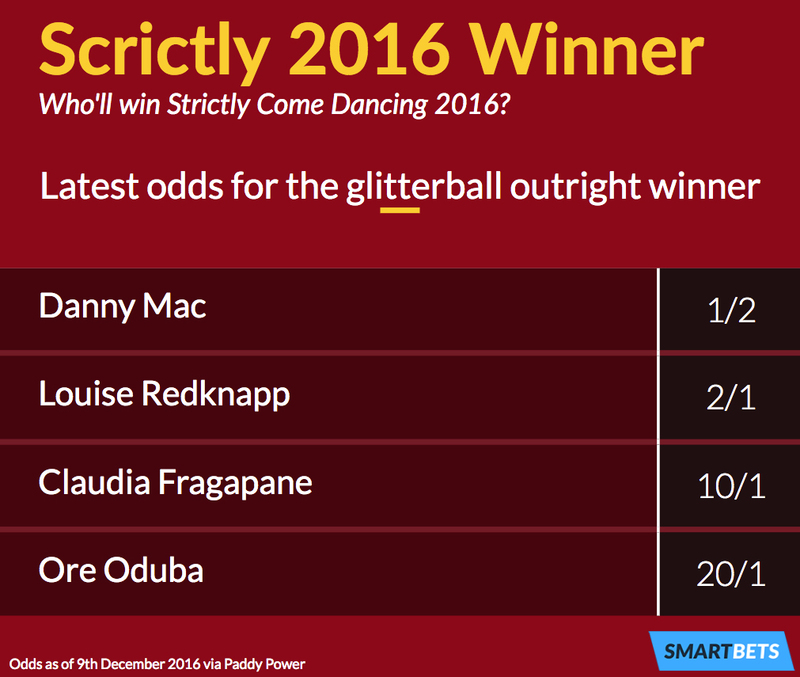 Paddy Power has the latest odds available leading into Strictly’s penultimate live show of the season, and soap star Danny Mac is yet to surrender his place as favourite for the 2016 title. Mac and his partner, Oti Mabuse, have long been seen as the top contenders for top spot in this year’s dance-a-thon, and the gap between them and their peers is a large one as he currently find himself listed at 1/2 (1.50). That price is a long way ahead of presenter Louise Redknapp, who’s mathematically half as likely to clinch first place at 2/1 (3.00), although she’s still setting a far better pace than Olympic gymnast Claudia Fragapane, who’s a dark horse in third and currently listed at 10/1 (11.00). Mac appears to be in a league of his own coming into Week 12, although Redknapp is at least making a competition of things and needs a major push this weekend if she’s to stand a shot of challenging for the crown. Meanwhile, BBC Sport presenter Ore Oduba completes the quartet as a 20/1 (21.00) outsider and stands the slimmest chance of topping the Strictly Come Dancing pile after battling his way out of the bottom two for the second time last week. Just one more celebrity will be ousted from the competition this Sunday as we look forward to deciding upon a final three in Week 12, and Oduba is a clear favourite to miss out on the grand crescendo. Last week’s foxtrot performance might have been enough to make it this far, but he faces an uphill struggle to progress again and is a 4/5 (1.80) leader to be eliminated next, although Fragapane is another tempting option at 11/10 (2.10). 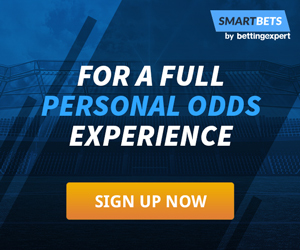 Punters will be taking their pick of that duo, too, due to the Redknapp is almost certain to remain - priced at 16/1 (17.00) to be voted out in Week 12 - while Mac is going nowhere just yet, as he’s 50/1 (51.00) to get shown the exit door next.